There’s a new game sweeping the internet; one that you’ve probably never heard of before. It’s called the Charlie Charlie Challenge. Search for it online and you’ll find countless videos of teens playing a game they probably believe is just harmless fun. 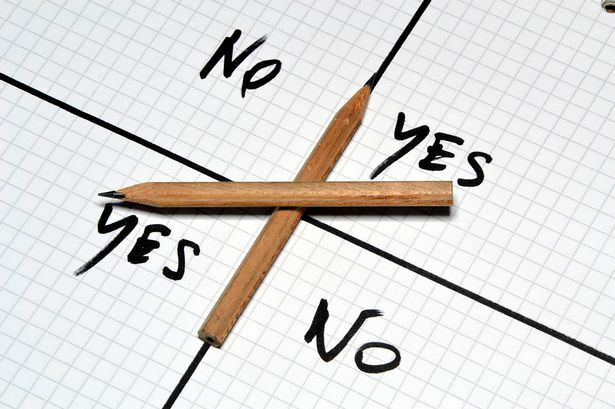 The Charlie Charlie Challenge, which works a lot like a ouija board, involves using a grid of yes/no answers on paper, and two pencils balanced on top as a dial. Then you say a special chant that is intended to summon a Mexican demon called Charlie to answer your questions, which he does by moving the pencils to indicate his answer. Reactions to the challenge vary from terrified scream, to youtube parodies, to scientist trying to explain the movement of pencils. There’s nothing new about the fascination with the supernatural. It’s a search for something beyond the tangible world in front of us. Last week as we started looking at the book of Ecclesiastes, we saw Solomon fail to find meaning in the life “under the sun”. If this world doesn’t satisfy, turning to the supernatural, spiritual world seems logical. As we read the New Testament there’s no denying the supernatural world is real. Jesus came face to face with demons, and he himself did things that can only be explained by supernatural forces. All the people were amazed and said to each other, “What words these are! With authority and power he gives orders to impure spirits and they come out!” And the news about him spread throughout the surrounding area. Luke 4:33-37. There’s a lot to say about the supernatural world and how we should respond, but I think this part of Luke’s gospel shows us 3 important things. This evil spirit immediately recognises Jesus for who he is; the Holy One of God. His question – Have you come to destroy us? – shows that he knows he and Jesus are on 2 different sides of a spiritual battle, and that Jesus is the one with the power to win. The question for us is if we know we are on the winning side, why would we team up with the losers? Jesus is stern in his reply. He is completely in control and yet there’s no mucking around, or stopping to chit chat. Jesus has no fear of this evil spirit and yet he is quick to send it away. When our trust is in Jesus we have no need to fear the spiritual world, yet, like him, we should treat it seriously. In the case of the Charlie Charlie Challenge, this means we should walk away. Far from being fascinated by the evil spirit, it’s Jesus’ power that amazed those watching, so much so that the news of his power spread around the area. The Charlie Charlie Challenge gives us an opportunity to speak to our kids, friends and others about the amazing power of Jesus, whose death and resurrection conquered evil once and for all. This entry was posted in Church, Jesus, life and tagged charlie charlie challenge, demons, evil, Jesus, Luke by katierae. Bookmark the permalink.